The Venice Biennale is a spectacular extravaganza. La Biennale includes art, architecture, cinema, dance, music and theatre. Most popular are the International Art Exhibition that occurs every other year, and the International Film Festival. Founded in 1895, it is avante garde and cutting edge. I can’t do an explanation justice, so click here for the link to the Biennale’s website. This is the fourth time I’ve attended the Biennale Art Exhibition. I was first introduced to it a number of years ago through the Chicago based, non-profit art organization, Art Encounter. A Sedona friend and artist, Ellen Kamerling, is one of the founders and also the travel director of Art Encounter. My first two Biennale experiences were under the knowledgable, watchful, and astute eyes of Ellen and her co-founder Joanna Pinsky. The experiences were life changing for me and fed my love of modern art. Michael and I attended the Biennale 2 years ago while still living in the US, because I was missing the charms of Venice and wanted him to experience the magic. 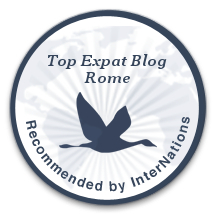 This year, living in Roma, I couldn’t imagine being so close, actually in the same country! and not going, so last weekend Michael and I took the train to Venice and spent the weekend. In hindsight, I regret that I didn’t do my homework before attending and look online to learn more about the main exhibition and the numerous ones that are found throughout the city. A weekend is hardly enough time to view the 2 main exhibitions at the Arsenale and Giardini. There are over 150 artists from 37 countries represented in these two venues, plus there are 44 collateral events around town representing 88 “national participations” (their words, not mine). It’s overwhelming. I have to admit, I didn’t LOVE it. I’ve loved past exhibitions. Talked about them for years. Committed some art to memory. This year, not so much. Don’t get me wrong, there were some fabulous exhibits at both main venues and the ones we dropped into around the city. Some too that we didn’t see, that my Austrailian friend Margo called to my attention from this website, Yellowtrace, which provides a nice highlight of the author’s favorites from the Biennale. But this year’s theme brought many more paintings, very small paintings and lots of them, that were difficult to see. It was near to impossible to read the information cards about each exhibit because they were written in tiny script and in some parts of the exhibition hall there were so many different things displayed you couldn’t tell who’s work went with what description. I missed seeing the beauty of the Arsenale building. So many fake walls had been erected to hold the zillions of little paintings, that I didn’t feel I was in this magical place. Sometimes the fake walls were used well, like when exhibiting R. Crumb’s 250 comic drawings of the Book of Genesis. And saying that this year’s exhibition was about “obsession” was an understatement. You just have to see the work of the American artist Sarah Sze to understand the meaning of the word. Mama Mia! I think I need to go back, to see what I didn’t see the first time. Not sure that I will, though. Regardless, I hope you enjoy the following photos of some of the art from this year’s Biennale. An email came across my desk a week ago through the AWAR (American Womens Association of Rome) Resources line. It said that the Whiffenpoofs would be in Rome and were performing a concert at John Cabot University. They were looking for other concert venues and/or would be willing to sing in exchange for a meal. I love to cook and entertain, so I thought well how hard can that be? Let’s invite them for dinner! Ok, so if you don’t know already who or what a Whiffenpoof is, let me tell you. The Whiffenpoofs (Whiffs for short) are the oldest collegiate a cappella group in the US. They are all college seniors at Yale University. There are 14 of them, chosen each academic year by the previous group of Whiffenpoofs. This year’s group appeared on the US TV show Glee. The Whiffs are known for upholding the tradition of generally performing in a tux with tails or a suit, and they don’t do any “beat boxing” which is making instrument sounds with their voices. They perform about 100 concerts a year to raise funds for their “World Tour” and this year most of them took the academic year off because of the rigors of their concert schedule. This summer they are visiting 25 countries in 87 days! Click here and watch the video clip, where Mike of the Whiffenpoofs introduces themselves. My Michael thought I was nuts when I suggested the idea, but I was so tickled by the thought of it that I just moved forward with the planning anyway, trusting that it would be a great evening. We invited about 15 local friends, a mix of Italians, Americans, an Australian, a Spanish/Canadian and an Irish thrown in, to make it interesting! I asked friends to bring a bottle of wine, and I spent Sunday afternoon in the kitchen whipping up pasta sauce, salads and some munchies. The Whiffs started to arrive a bit before our other guests. They were hot and sweaty from sightseeing, but polite, sweet and very appreciative of our air conditioning and the prospect of a free home cooked meal. Michael and I scurried to open the wine we had available before friends brought more. For the next hour or so, friends streamed in and we all got to know each other a bit. The Whiffs happily sang a few songs before we ate, then gave us a longer concert after dinner. We had thought to take them out to the Re di Roma park nearby to sing for the locals, but as you will hear in the clips below, the accoustics were so good in our living room, and the wine was close by, so we just stayed put. Unfortunately, no one got a full video of their performance. We have some pictures, audio files and a few video clips which you can see my clicking on the name of the songs below. If you ever get a chance to see them live, it will be a treat that you will long remember. You can visit their website by clicking here and click here to see them performing in concert. Their singing brought tears to my eyes and it’s been days now that I can’t get the songs out of my head. Thanks again guys for a wonderful evening and safe travels! Rome is home to the famous movie studios at Cinecitta. Started by Mussolini in 1937 and later made famous by the Italian director Federico Fellini, the studio became the home of Italian cinema. I wrote about the studio last year for the blog ItalianNotebook, during a strike by studio employees who were trying to save a part of it from becoming a theme park. You can view that post here for a bit more background on the studios. Recently, my new Australian friend Margo asked me to accompany her on a studio tour, so off we went. Each day there’s an English language tour at 11:30, but we arrived earlier so we could enjoy the self tour beforehand. The self tour includes several really cool exhibits that showcase the history of the studio and the process of filmmaking. There are displays highlighting the different departments that work together to make a movie, such as costumes, props and set design, etc. Margo’s daughter works in Australia in TV helping to procure props, so her knowledge of the process helped make the tour even more interesting. You get to walk onto a set of a submarine and to experience how real it feels to be inside, complete with working parts and sound. The guided part of the tour took us onto the back lot. We toured Stage 5, which was home to Fellini and all of his movies were made there. It is so big that it was possible to recreate full streets, like Via Veneto, inside. Currently, a film about Fellini and his relationship with a news writer is being made inside Stage 5. We got to walk through some of the sets being used for this movie. It was amazing to experience the level of detail that goes into making it all look so real. Unfortunately we weren’t allowed to take any pictures inside Stage 5. We next toured one of the 3 permanent sets on the lot. This set is a re-creation of an ancient city and was used for the filming of the BBC/HBO series Rome and The Passion of the Christ. It looks real, but the buildings are actually constructed from fiberglass and what look to be heavy stones are made from styrofoam. The set is multifunctional, as it can be a setting for a movie taking place in ancient Rome or Greece or Egypt. There are also parts that are made to look like 15th century Italy. These sections were used to film the BBC production of the Borgias, which is available on Netflix and is very different from The Borgias available on Showtime. Next we walked through an “urban” set, which is constructed from tall scaffolding that can be fronted to look like a variety of cities, as you can see in some of the photos below. This set was used for The Gangs of New York. The guided tour ended at this point and before we left, we also viewed the final “permanent” set, viewable on the self tour, which is the recreation of a street in a small Italian village that is used for a popular Italian TV show. It was a delightful morning at the movies! Ah, London with the sun shining for 5 days straight is a glorious thing! I’d only seen her in the cold and damp. This time, the temp was in the high 60’s during the day and just a few fluffy clouds in the sky. Michael had a few days of meetings in the London and Brighton offices, but we arrived over the weekend and took advantage of some of the city’s treasures. We enjoyed great meals at Bibendum, Zuma and The Botanist (our favorite place in Sloan Square where we befriended one of the bartenders, Janus, who remembered us from our previous visit in January!). We hung out on Kings Road and at the SouthBank where there were food festivals and beer gardens along the Thames. We drank really yummy margaritas. We went to see Merrily We Roll Along, a revival musical featuring music by Stephen Sondheim, and stayed up way past our bedtime dancing at a private club, Home House, with new friends. While Michael worked, I shopped around at new and familiar stores, explored more of the city including Covenant Garden; treated myself to lunch outside at a Greek restaurant and explored a small part of the British Museum. I enjoyed cocktails at The Botanist with the windows open to the street; tried and failed to get into Westminster Abbey (they were preparing for a 60th Jubilee celebration for the Queen) and saw a great exhibit of contemporary Soviet art at the Saatchi Gallery, some of which I’m sharing with you below. I must admit, it was difficult to get myself back on the airplane this time to return to Rome.